The world leader in drone technology DJI has entered the Drone Racing market with the new DJI Snail racing propulsion system. The DJI engineers optimized the motors, electronic speed controllers (ESC) and propellers for the needs of the FPV racing pilots. I am going to review the propulsion system, make some thrust tests and finally share my flight experience. 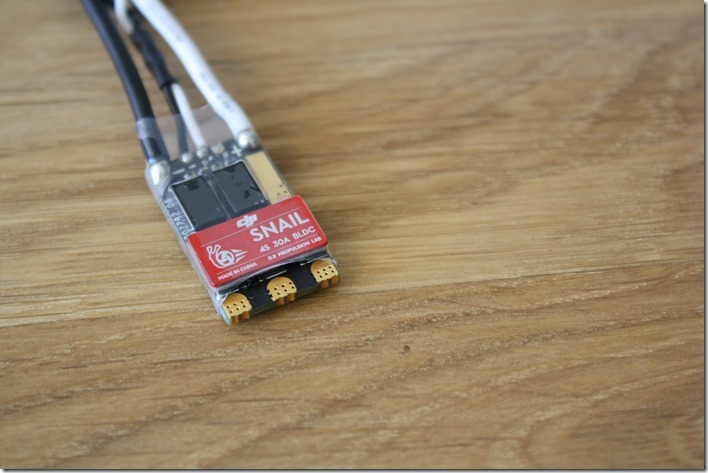 DJI Snail propellers as well as the ESC programmer are optional. 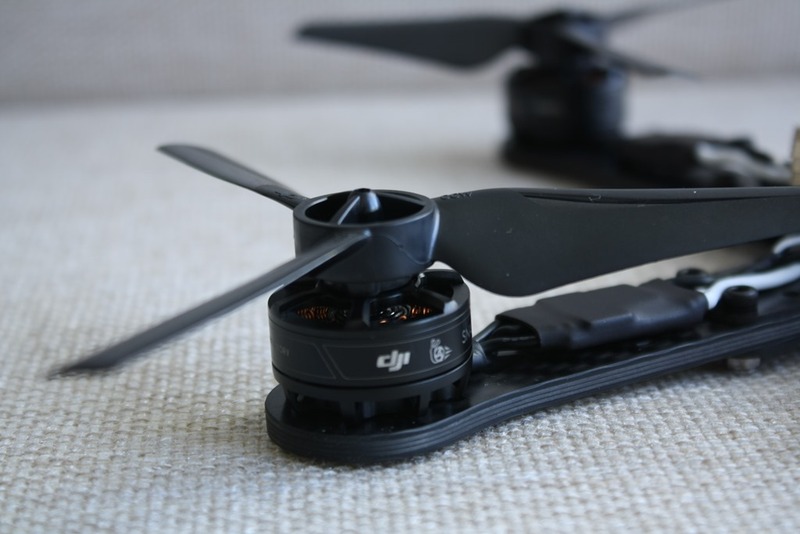 You can choose between normal mount propellers or the DJI quick-release propellers. The last are using the same quick-release system as the DJI Mavic Pro or the new Phantom 4 Pro. 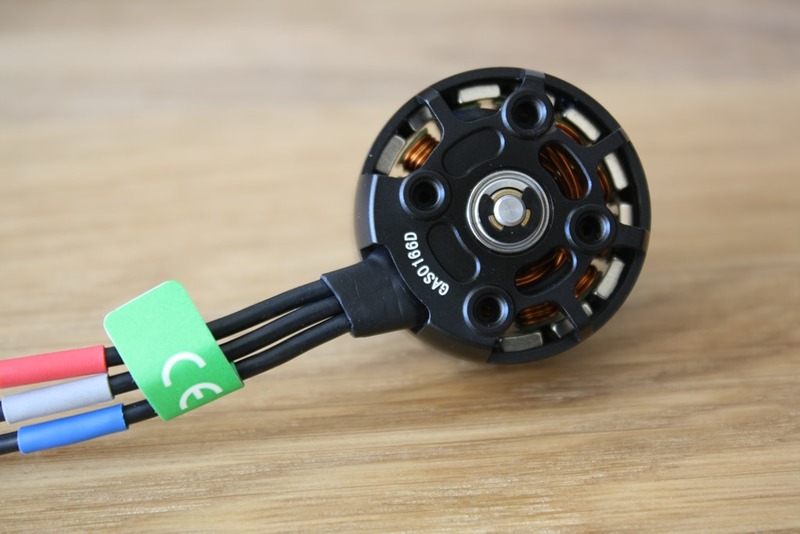 The build quality of the 2305 motors is superior. Motor is very smooth and there is no vertical play in the bell. The quick release system of the CCW motors is marked with white dots, so you can pick the right propeller while mounting it. Mounting holes pattern is standard M3 19 x 16mm. The holes are protected, so there is no way to short and burn the motor while using longer mounting screws. The Snail 430-R racing ESCs are rated for maximum 4S LiPo battery and maximum continues current of 30A. It features the well known OneShot125 signal protocol as well as regular throttle signal. Currently there are even faster protocols available (OneShot42, MultiShot) for BLHeli firmware based ESCs, but DJI decided not to use these for some reason. Active Braking function is available (known as Damped Light on BLHeli ESC) and helps for better motor response while decelerating. 3D mode with the 6048 3D propeller is possible after activating it in the DJI Assistant 2. On the picture above you can see the DJI microcontroller chip (MCU) with integrated gate driver running at 100MHz. Most of the current ESCs on the market use MCU (max 50Mhz) and dedicated gate driver chip. The better clock speed of the MCU could lead to better overall performance of the ESC, however I am not sure if it will be a significant and noticeable difference. I have used a 4S 16.000mAh LiPo battery for the thrust test of the 2305 motor. 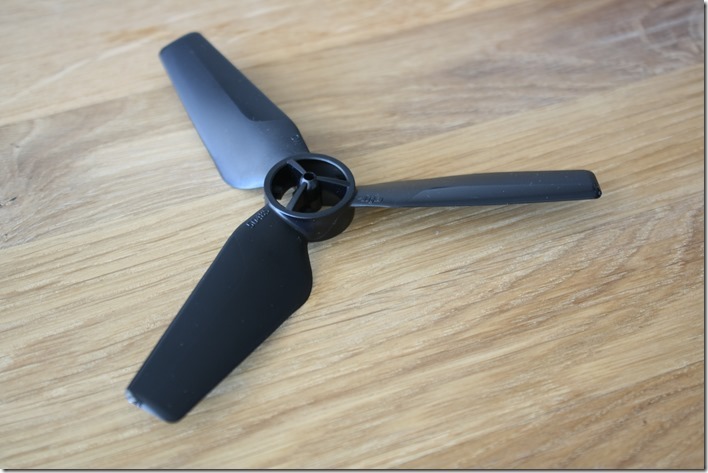 Attached was the quick release 5048S Tri-blade propeller. Maximum thrust was 1183g. I couldn´t achieve the 1.35kg thrust that DJI measured, because the battery voltage dropped to almost 16V and I am not at sea level. I haven´t tested another 2400kv motor, so I can´t make a real comparison, but the almost 1.2kg thrust looks very promising. In order to test the Snail propulsion system in flight I need to build another quadcopter. 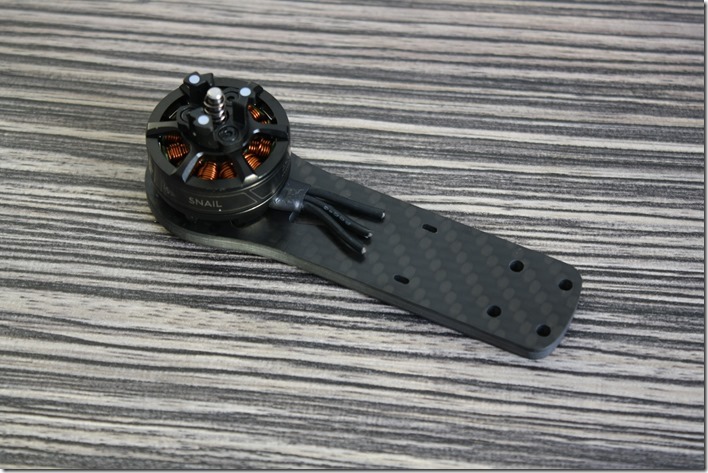 I have used my SG Acro frame with 4mm carbon arms and 210mm distance between the motors. First of all I have mounted all four Snail motors on the arms and cut the cables. Next I soldered the 430-R ESC to the motors by reversing the cables of the CCW motors. You can reverse the motor direction using the DJI Assistant 2, but you need the ESC programmer. Next step was soldering all 4 x ESCs power cables to the Realacc power distribution board (PDB). At the end you need to connect the signal/throttle cable from every ESC to the flight controller and mount the propellers. 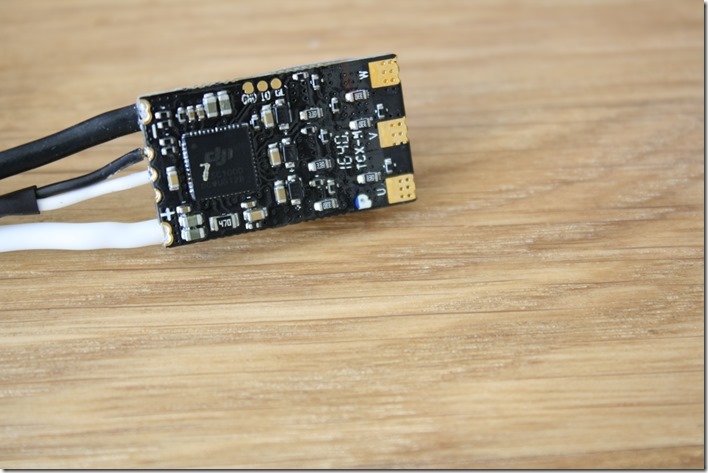 I am using the AirBot Flip F4 flight controller flashed with Betaflight 3.0.1. Note: If you are also going to use Betaflight make sure you reduce significantly (about 50%) the standard PID values. I got some strange oscillations when making a flip/roll or tilting the quad more than 45 degree before decreasing the PID. The quad is very responsive. I can´t make any noticeable difference with one of my other racing quads using BLHeli ESCs. The mini drone weighs about 430g with a 4S LiPo battery and is super powerful with the 5048S Tri-blade propeller. What impressed me a lot, was how quiet the propeller were. I also think, that the flight time was significantly more, but for now I can not confirm. 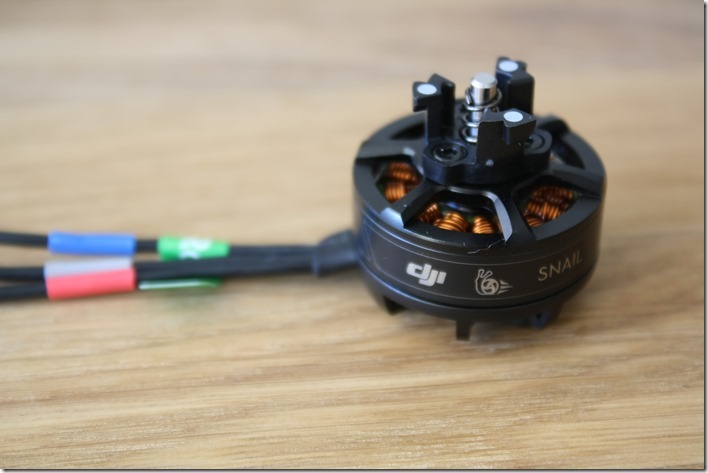 I like the build quality of the complete DJI Snail racing propulsion system (after 4-5 crashes no broken propellers so far). Performance is also very good and at the same level as current racing propulsion systems. 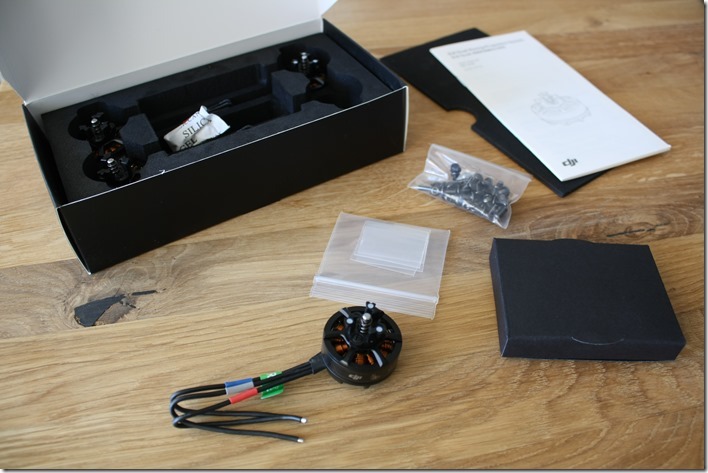 Manual is good and contains notes how to build your drone using the DJI Snail. 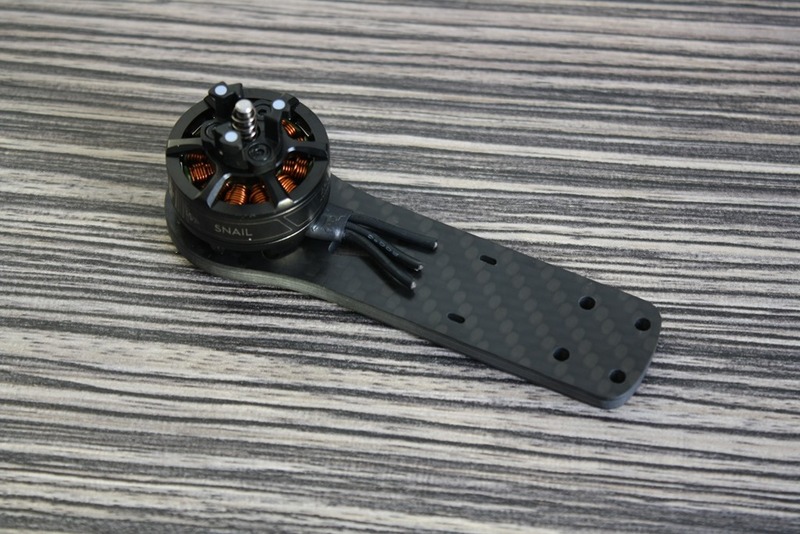 The package costs 89$, which is a very good price for 4 x motors and 4 x ESC. A set of 4 quick release propellers cost 4$. If you have any questions, please leave me a comment. Make sure to like the Facebook page and you will never miss any update. – Antennas/FPV cam/frame: whatever recommendations you have here. Thanks in advance – really thought this was a nice write-up on the system. Hello Ben, happy that someone else is joining the FPV hobby! You will need additionally: 1.300mAh-1.500mAh 3S or 4S battery, depending on the weight of your drone. At the beginning you may start with one 3S battery until you learn the basics. The 16.000mAh that I have used was just for the Thrust Tests on the stand. You can´t flight with such battery, its too big. There are some great flight controllers with open source firmware like Betaflight/Cleanflight. 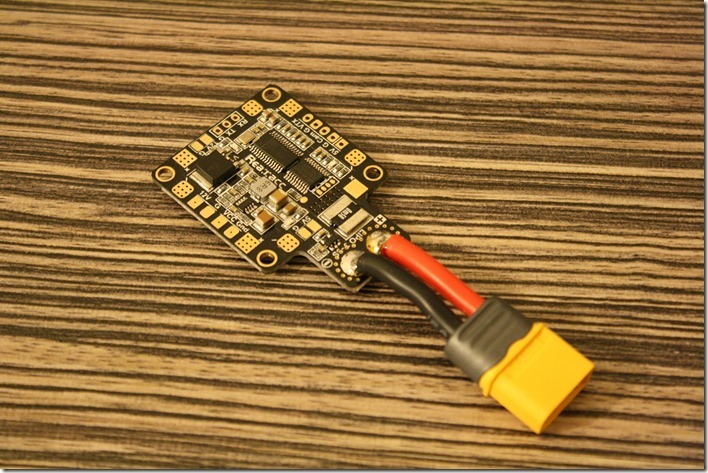 Look at this Betaflight FC. The F4 ist the best MCU running at 50Mhz at the moment for racing drones. There is a version of this flight controller with integrated OSD (On Screen Display). For FPV cam I am using “RunCam Swift”. There are also other brands like Foxeer. 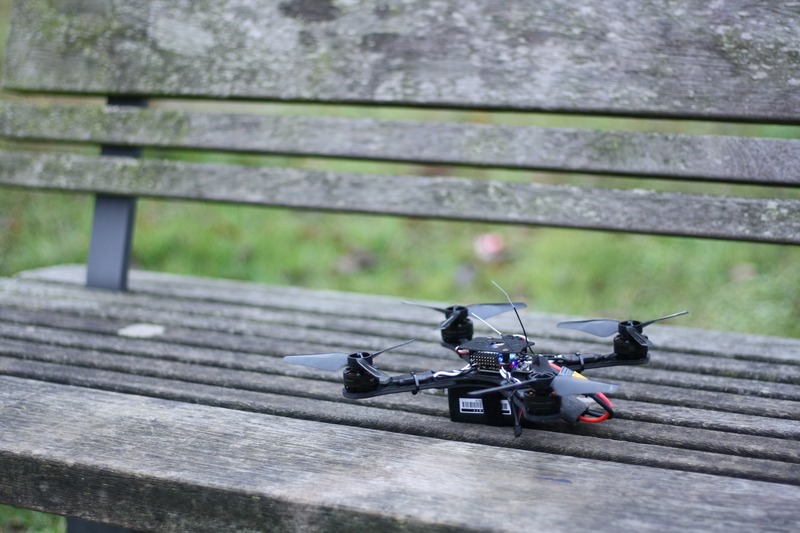 If you are more interested, look at my FPV Drone Guide. For a frame you can take one between 25-50$. You are going to crash a lot at the beginning, so you dont need an expensive one. Stef wrote an amazing build-log of his RealAcc X210 frame, which could be helpful for you. Awesome – thank you so much for the info! It’s such a pain figuring out all the different options. I’ll definitely have a look at your guide and share it around as well. Hey, I really want to build my own racing drone, but I have some basic questions. 1. How did you solder on all the wires from the ESC to the PDB? 2. Is there anything I forgot: Flightcontroller – PDB (Matek HUBOSD X TYPE) – Motors incl. ESC – 3000 mAh 4S Battery – Video Camera incl. Transmitter – Frame? that’s great! Thanks so much for helping me!! How did you configurate the ESCs? does snail repuires oneshot125 config for supporting 4s batteries??? how long is the Flight time of your quad? 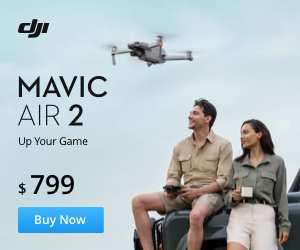 What settings did you use in the DJI Assistant 2 (Acceleration, etc.)? Hey – I just build my DJI snail, but everytime i plug the battery in, it starts beeping and nothing is happening. Were you facing the same problem? I dont know what to do. Ive got NAZE32, Spektrum 4648, Spketrum Dx6i, Matek Systems PDB. Have you selected OneShot as an ESC protocol in the NAZE32 Configurator? I guess you are using Cleanflight or Betaflight with it, right? The ESCs could also beep, when the signal cable from the ESC to the Flight controller is not connected properly, ie no signal is recognized. Ive read, that its something with the ESCs. Is it possible? I haven´t had any issues, except that I needed to reduce the PID settings a lot. Where did you connected the small, black and white cables coming from the ESCs? The black one go to the GND of the NAZE32 pins, the white to the Signal Pins of the Naze32. So when you first connected the battery, there were no beeps? There are always starting beeps, when you connect the battery. This is normal. Constant beeping is not normal. Nice article, enjoyed it a lot. If you had it to do over would u still pick the DJI Snail? Hey there! Just wired up my drone and can’t seem to conect the CCW motors ESC’s to the DJI assistant app in order to reverse it. I am using macOS 10.12 with the latest version of DJI assistant. Not sure what I’m doing wrong? I’m building an acrobatic QuadPlane for research purposes, the estimated total weight is 2kg and would like to know if the DJI Snail racing propulsion system is good for stable hover. Initially, I wanted to go with the discontinued DJI E305 but can’t find any. What would you suggest? 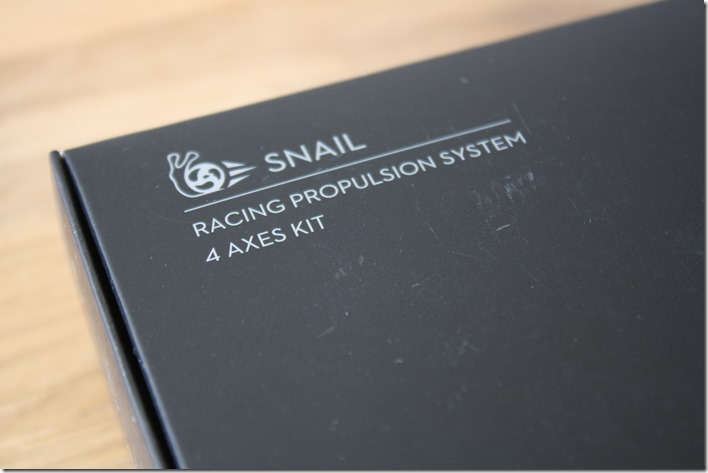 Can I use the Snail for a QuadPlane? Do you know of any good replacement for a range of 800-1000g thrust?